When tensional faults crack open and grabens form, pit craters often occur along the faults. These are caused by the surface rock collapsing into empty subsurface voids. 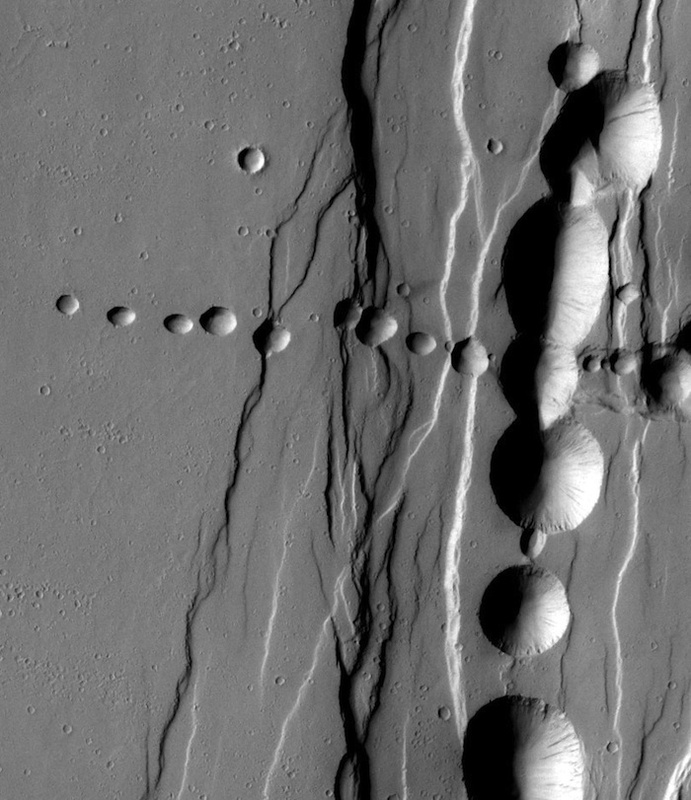 Pit craters can occur alone and in groups. If enough of them form close together, they may merge into an elongated depression. Scientists can tell a pit crater from an impact crater because pit craters typically have no upraised rim as impact craters do. Pit craters can also develop where lava tubes run. If the lava in the tube drains away, it leaves the tube roof unsupported. Parts of it may fall in, making a hole or a pit along the lava tube's path.